The elephant is the largest land animal existent today. yet if it were to come face to face with a dinosaur, it would stand only as high as the dinosaur's shoulder. can you imagine how large dinosaur's must have been? 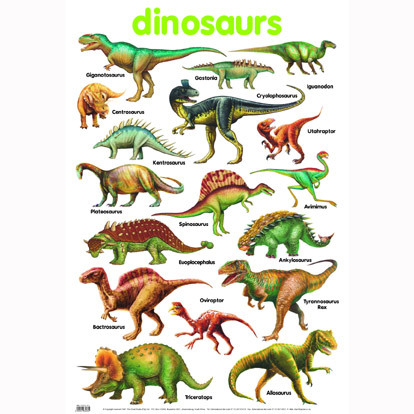 Dinosaurs were great reptiles that lived at a time when there were no men on earth- between 225 and 65 million years ago. Man first appeared about million years ago. The biggest of them all, Brachiosaurus, weighed 80 tons- as much as 8 fully-loaded trucks, while Diplodocus, measuring 26 metres from its nose to tail, was the longest dinosaur. Though both were land animals, they spent much of their time underwater because water supported their enormous weight. Though most dinosaurs were plant-eaters, some lived solely on flesh. The most ferocious flesh-eater was the Tyrannosaurus. No other animal of his time could face this six- metre tall beast. His jaws alone, when opened, were taller than a man's height. One bite of food for a Tryannosaurus could feed a human family of four for one whole month! Scientists have been closely studying the habits of the Crocodile and the Komodo Dragon found in the islands of Java. These animals, they think, may be direct descendants of the great reptiles that once roamed this earth.